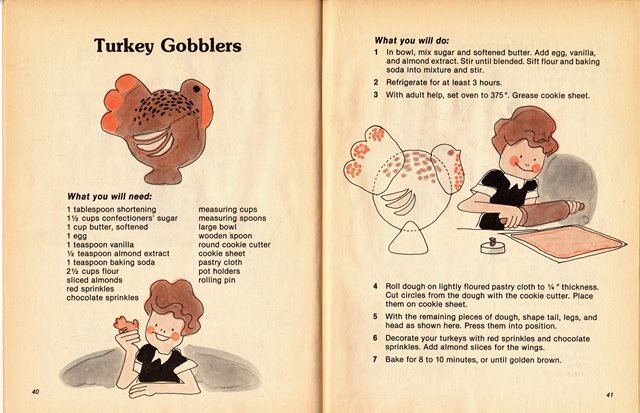 I am sure I have already shared with you my fond memories of cooking with my Mother; in the kitchen she was perhaps more easy going than anywhere else, I can think of, truly never saying no. My Mother would let me experiment, providing me, to the best of her ability, with whatever odd ingredient I might ask for, something for which I am eternally grateful, as you may be, if you have sat at my table. My parents were both great cooks, but my favorite time of the year, to enjoy their creations, was during our “holiday” season, that began around Halloween and lasted through New Year. As I get older, I will admit I appreciate going out for dinner a bit more than I used to, and I truly love sitting at someone else’s table; however, nothing takes the place of my own kitchen creations; especially at this time of year. I love when the house is filled with cookies being readied to be mailed; do you? 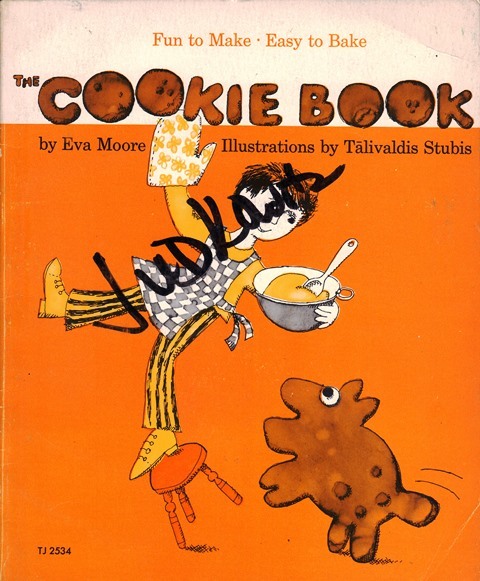 When we were children, my sister, Caroline, bought The Cookie Book, by Eva Moore, through the Scholastic Book Services, at school. 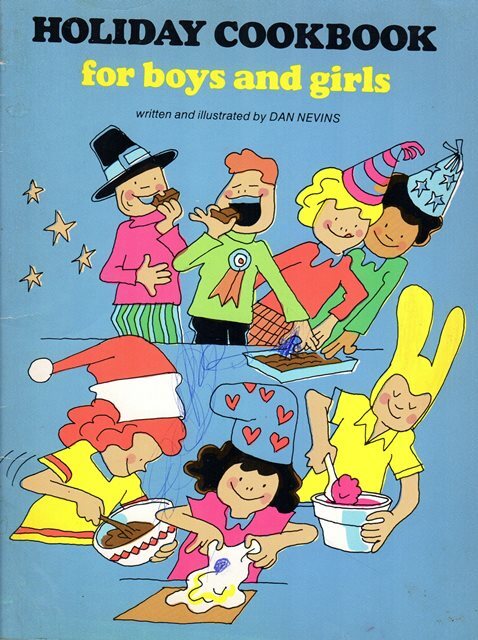 What I remember, about that book most is the brilliance of its Snickerdoodles! 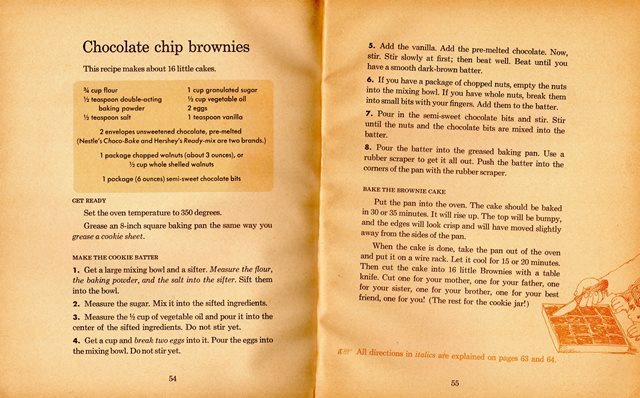 But I also remember Caroline using it to bake all kinds of wonders for us all to enjoy! A few years ago, I found a copy of it in a second hand store, and of course bought it; if you see it, by all means buy it, though I believe it is no longer in print. Nevertheless, I have decided to share the book with you, though perhaps I should be starting in January, I am going to throw a nod to my Mother, and begin with her cooking season. 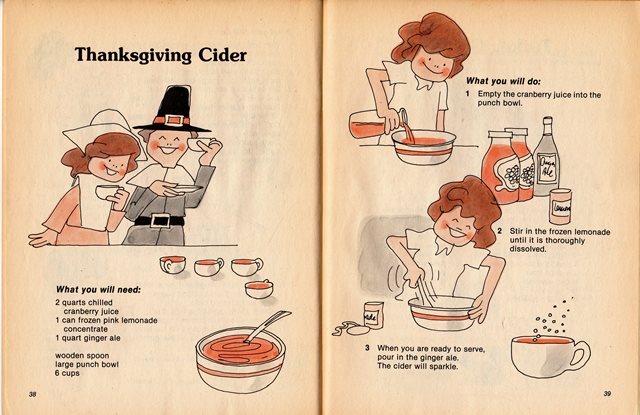 I will also be sharing with you recipes from the Holiday Cookbook for boys and girls, in this post, and as we go along, a few other recipes and notions that I feel will enhance your time in the kitchen with children – I also welcome any ideas or recipes you would like to share! This entry was posted on November 15, 2018 at 12:01 am and is filed under Food, SlideShow, Uncategorized. You can follow any responses to this entry through the RSS 2.0 feed.